The Calgary Leadership Luncheon brought together members of Calgary’s business community to reflect upon Canadian leadership and hear remarks by the Rt. Hon. Stephen Harper, Canada’s 22nd Prime Minister. 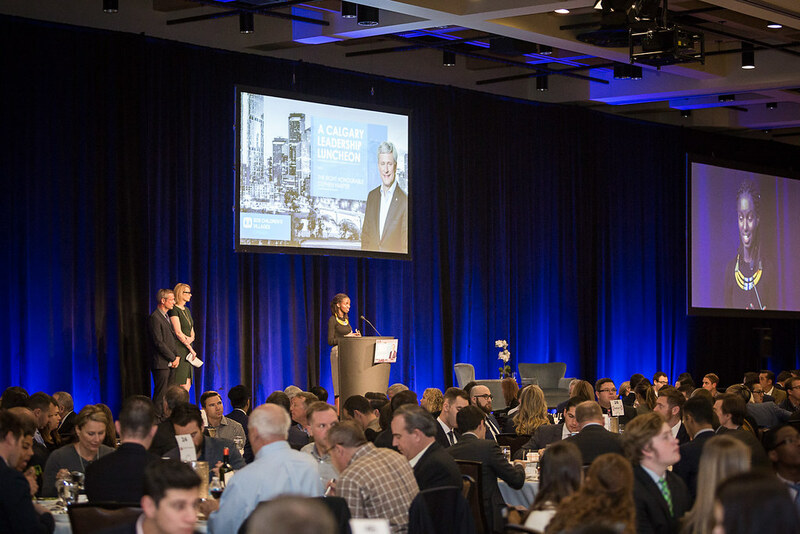 During the event, Mr. Harper spoke on hot topics such as the rise of populism, NAFTA, and pipeline development. The former Prime Minister also reflected upon his commitment to maternal and child health and reminded the audience that SOS Children’s Villages has been focused on the needs of orphaned and abandoned children for almost seven decades. We were also honoured to have an SOS Youth Ambassador, Divine Usabase, at the luncheon to share her story of growing up in an SOS Children’s Village in Burundi. Her words were a moving reminder of why SOS Children’s Villages are so desperately needed around the world. SOS Children’s Villages Canada’s new President and CEO, Thomas Bauer, also addressed the crowd. Mr. Bauer spoke about SOS’ commitment to the needs of vulnerable children and families and provided an update on SOS’ work to protect and care for children in 134 countries. Since 1949, SOS Children’s Villages has been guided by a basic principle: a loving home for every child. We are the largest charity working with orphaned and abandoned children. With your help, we can be there for more children and families in need. Please donate today.